Because Salon Son & Image was held March 27-29, I’d originally planned to write this article in April for a May 1 publication date -- I didn’t think there’d be enough time to turn it around for April 1. But when I found out that SSI would be much smaller than in years past -- exhibitor and consumer attendance has dwindled over the last few years, a trend that seems likely to continue -- I realized that I had enough time to get this in by April 1. Besides, I wanted to reward those selected as the Best of Salon Son & Image 2015 by publishing this while SSI is still fresh in everyone’s minds. Usually, we select short lists of the Best Products and Best Systems we saw and heard at a show, but not enough new products were introduced this year at SSI to warrant that. Still, three systems stood out, and deserve to be recognized as the Best of Salon Son & Image 2015. Fellow-writer Hans Wetzel likes to describe products or systems that perform capably and admirably as solid. It’s a good word for stuff that’s flat-out good, and it’s the one I’d use to describe the sound of Bryston’s system at SSI 2015: their BDP-2 digital player, BDA-3 digital-to-analog converter, 7B SST2 mono amplifiers, and Model T Signature speakers. Cables were Bryston’s own. 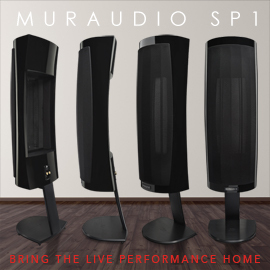 The total price of this system runs about $30,000 Canadian, but to my ears it sounded better than most of the systems at SSI 2015 that cost twice that or more: full-range, tonally natural, effortless, spacious -- it pretty much had it all. As a result, I’m confident that while anyone who buys this system will be spending a lot of money (30 grand can get you a car), he or she will be getting good value -- the performance was, across the board, great. That buyer will also get an incredible warranty from one of hi-fi’s stalwart brands: 20 years for the amps, preamp, and speakers. As Hans would say: solid. One system that was more expensive than Bryston’s really impressed me. Montreal retailer Coup de Foudre, in conjunction with On a Higher Note, North American distributor of Luxman and Vivid Audio, assembled the best system and the most noteworthy demo I heard at SSI 2015. This was mostly the result of our own Jason Thorpe urging On a Higher Note’s Philip O’Hanlon to crank things up -- Jason didn’t think the speakers could handle it. The speakers were Vivid Audio’s Oval K1s, and their odd shape and the display samples’ bright-red finish made them look not very tough. Hoping to prove Jason wrong, O’Hanlon scrolled through his music collection, then clicked on “Billie Jean,” from Michael Jackson’s Thriller (Epic), and played it at deafening SPLs. He followed it with “Diggin’ On James Brown,” from Tower of Power’s Souled Out (Epic), also at rock-concert levels. All the while, the Oval K1s sounded natural, neutral, crystal clear, and utterly composed -- as if they were coasting. Jason was floored. He’s used to audiophile speakers completely falling apart when they’re asked to play like that. At the back of the room, Graeme Humfrey, co-owner of Coup de Foudre, said, “I can feel the bass in my chest.” I could feel it in my chest, ears, and pretty much everywhere else. Also surprising about this demo was that the amplifiers used weren’t all that powerful: Luxman M-600As, bridged to mono, in which mode their maximum claimed power output is only 120W into 8 ohms. Though of only average sensitivity, the Oval K1s tend to be fairly easy for most amps to drive, which I guess accounts for some of what I heard. Also in the chain were a Luxman C-600f preamplifier and a Luxman DA-06 DAC; everything was linked with interconnects and speaker cables from Transparent Audio. 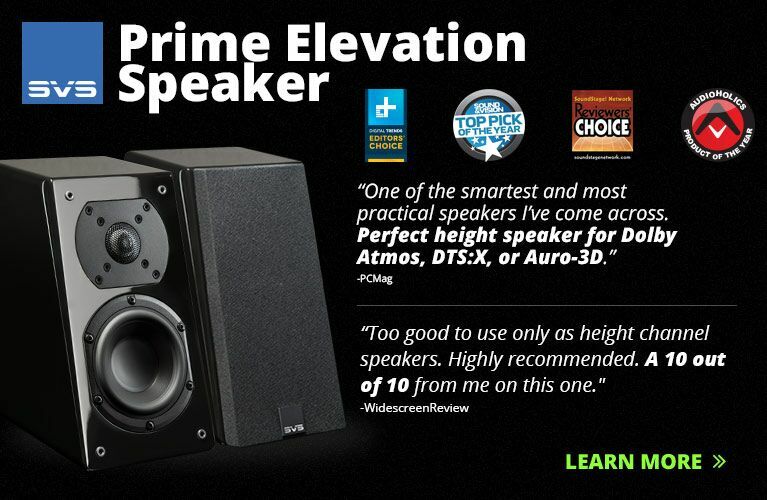 This demo reminded me of precisely why I love Vivid Audio speakers, and why I consider them to be among the best speakers you can buy today, if not the best: they sound incredibly neutral and natural, exceptionally detailed, and are capable of explosive dynamics and extreme SPLs that few speakers at any price can match. They’re the only speakers I’ve heard that make music sound truly alive. Coup de Foudre and On a Higher Note’s demo also reminded me that, even though Vivid’s Giya line gets all the attention, the Oval models are probably the better values. The Oval K1 retails in the US for $26,000 per pair, while the smallest Giya, the G4, goes for $33,500/pair -- something to think about. A system that took me completely by surprise was built around a pair of Soltanus Acoustics ESL Virtuoso speakers. The ESL Virtuoso is a two-way, full-range electrostatic that can be run without a crossover, so long as your amplifier’s damping factor is high enough. Designer Zoltan Mikovity assured me that most amps qualify, but if yours doesn’t, there’s a knob on the back of each speaker that will engage the crossover, and an alternate binding post to connect one of the speaker cables to. The ESL Virtuoso has a claimed bandwidth of 40Hz-20kHz, +/-3dB -- fairly wide, if accurate -- and retails for $10,995 Canadian per pair. At the front end of the chain was an Auralic Vega digital processor, feeding digital signals to an Aurum Acoustics Integris CDP player-preamplifier that must have been almost ten years old -- Aurum went out of business some years ago. Most surprising, however, was the amp driving the speakers: a Threshold Audio 400A, ca. 1978, recently refurbished by Will Boucher, a technician based in Nova Scotia, and who works out of a shop there called Brooklyn Audio, which also distributes Soltanus Acoustics in North America. It seems he does incredible work. All cables and the power distributor were from Kubala-Sosna. This system lacked the dynamic prowess and sheer output capability of the Vivid Audio-Luxman rig, but its clarity was superb, and its midrange presentation was to die for -- voices sounded dazzling. The level of transparency was also first-rate -- the piano in “Within,” from Daft Punk’s Random Access Memories (Columbia), hovered precisely in space with crystalline clarity, while Rebecca Pidgeon’s voice in “Grandmother,” from her The Raven (Chesky), was so clean, pure, and effortless, it was as if she were there in the room. Mikovity told me that his inspiration for the ESL Virtuoso was the Quad ESL-57, many of which he’d repaired back home in Serbia, where Soltanus Acoustics is based. Of course, he wanted to create something better -- and I have no doubt that, with the ESL Virtuoso, he has. 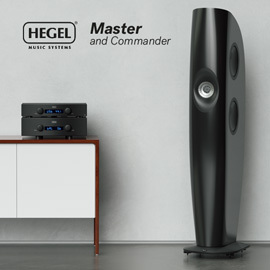 May 14-17 I’ll be in Munich, Germany, attending the 2015 edition of what has become the world’s No.1 hi-fi show: High End. Look for our coverage of High End on SoundStage! Global, and for “The Best of High End 2015” in this space on June 1.